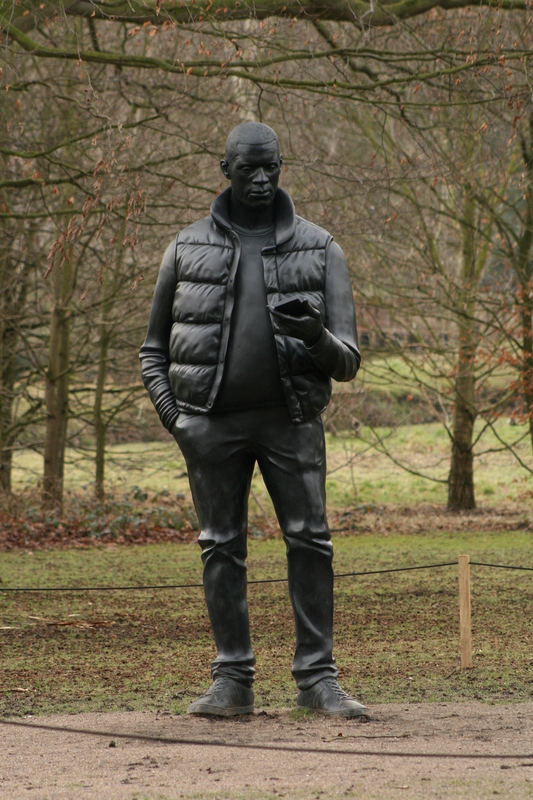 I like people to see my pictures, there’s part of the reason why I blog, maintain a website and spend hours outdoors in all sorts of weather. I’ve been involved in one art project exhibition and I’ve had one of my own in the local pub. I get a buzz when people comment on them and ask me what they are or where they were taken. 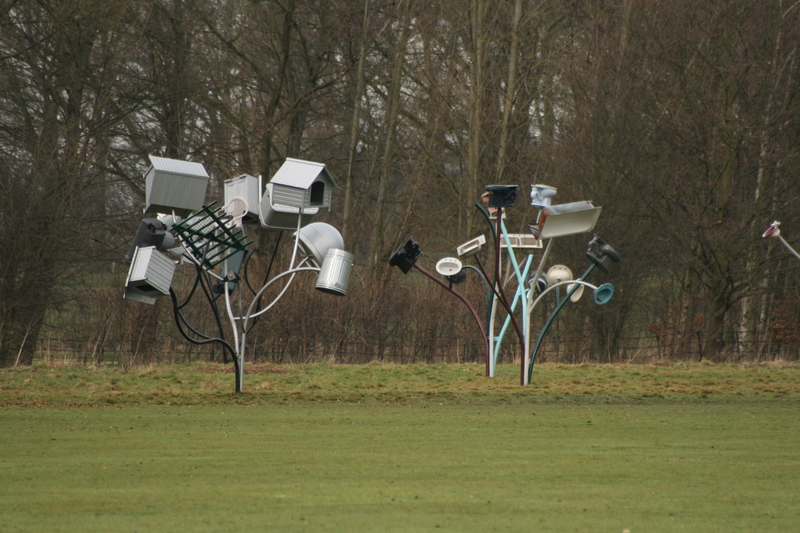 I particularly enjoy it when I tell them that photo was taken about a mile away or that one was taken just down the road. The look on their face when they realise what’s under their noses is fabulous. My local Doctors surgery has had the same 8 pictures on display since God was a boy so I thought “why not ask if they’d like me to put up some wildlife pictures, no charge”. They nearly bit my hand off. So the walls are now full of hawks and otters, waxwings and kingfishers, voles and weasels, which hopefully will make the waiting patients feel a little better. So if you know of some empty walls that could use a photo or two why not ask if you could hang some pictures, what’s the worst they could say? Florence in Italy is the birthplace of the Renaissance, is home to masterpieces of art and architecture and in my opinion some of the best street sign art I’ve ever seen. I wasn’t that impressed with the so called masterpieces in the Uffizi gallery. Lots of pictures of fat ugly babies painted by people who had obviously never seen a baby! However on the streets of Florence people have been having a lot of fun with the street signs and we spent hours trying to spot new ones. These are just brilliant. 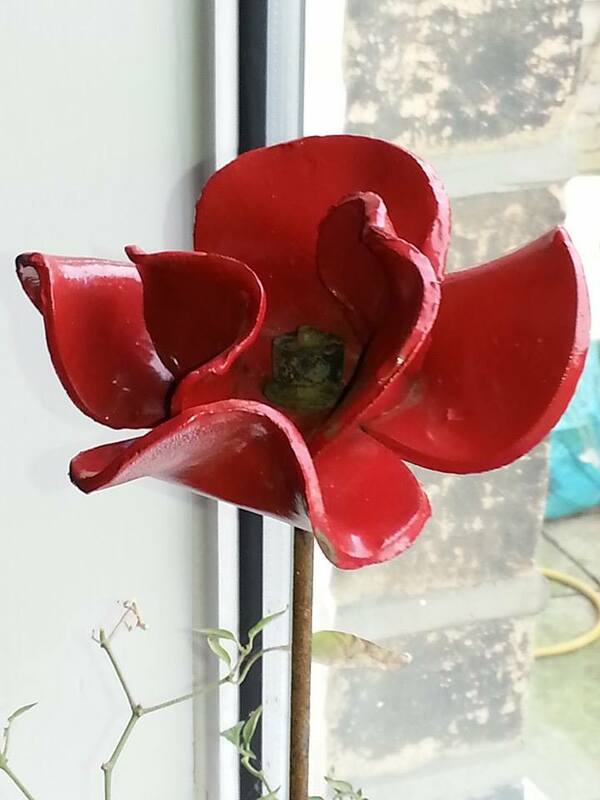 Well today our poppy arrived and its beautiful. 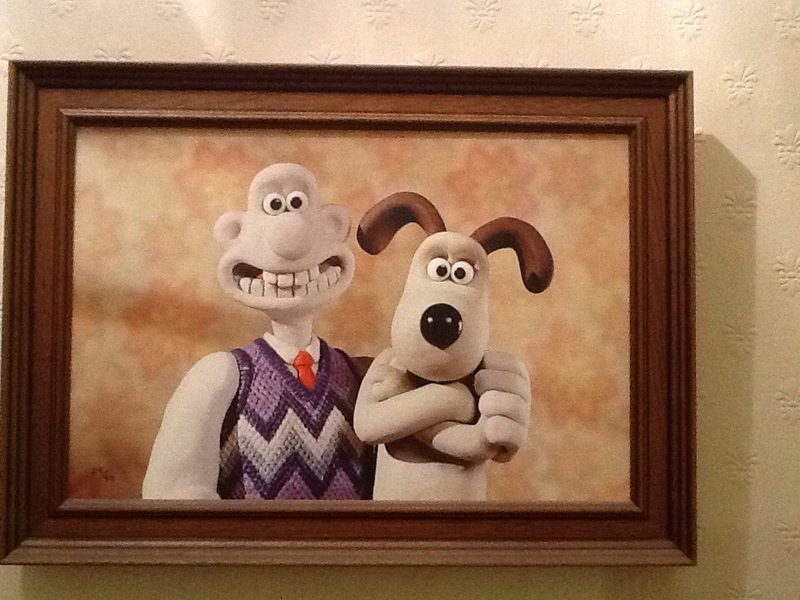 Who doesn’t love Wallace and Grommit? I have 5 pictures of them in my collection and the first is from their family album. Currently on display in the hallway. Porky Pig was another picture bought from the Oxford Street gallery and features him in front of a selection of lobby cards promoting his cartoons. Lobby cards were printed promotional materials of different sizes that could either be displayed or passed out to customers in the lobbies of movie theaters. Animation historian Jerry Beck provided the 15 lobby card originals which were scanned to produce the Porky Pig Lobby Card background. 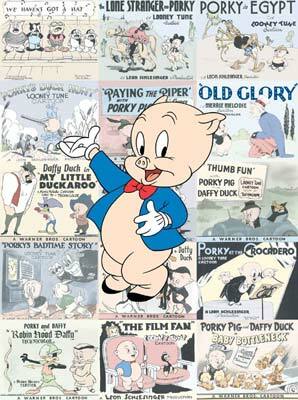 These lobby cards were created during the Golden Age of Animation, both in-house and by special design studios hired out by Warner Bros.
Porky is currently on display in the living room. This picture is a special one as it was a gift from my wife for my 40th birthday. 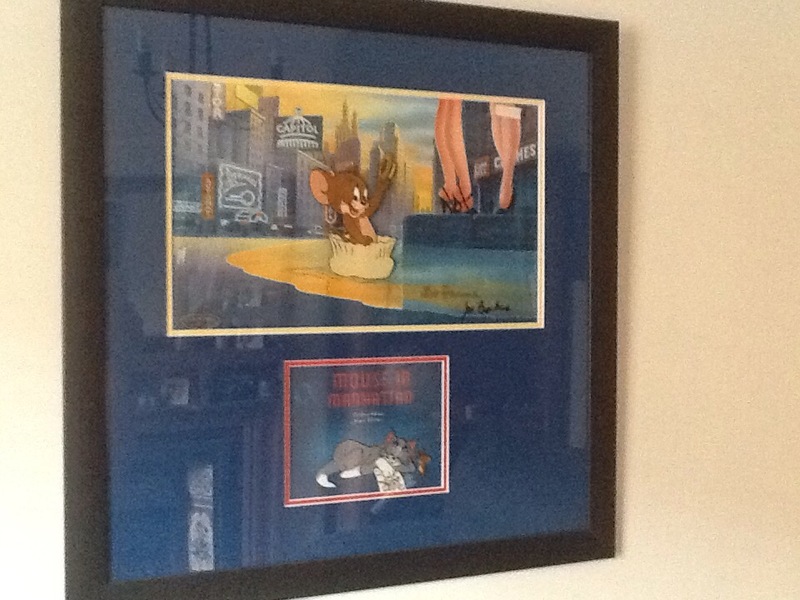 It is also a picture of one of my very favourite comedy duos, Tom and Jerry. Growing up the weekend TV always featured somewhere at least a couple of these classic shorts. Nowadays they are seen as violent and racist with Amazon even putting a warning on their listings for them! What has the world come too. Yes they were violent, but it was slapstick comedy no-one died, everyone survived to do it all again another day. I happily bought the complete collection for my kids and they loved them. All they got from them was a laugh, a giggle and a happy smile. This image is from the 1945 classic Mouse in Manhattan which is really a solo outing for Jerry mouse who decides he’s had enough of the country life and sets off for the big city. Leaving Tom a note he packs his bags but after a night of adventures, dancing and chases he returns to the quiet life before Tom has even woken. tearing up the note, he kisses Tom and settles back to a life of cat and mouse chaos. If you haven’t seen it I’m sure it’ll be on Youtube somewhere so have a watch, have a laugh and enjoy a classic slice of animation heaven. 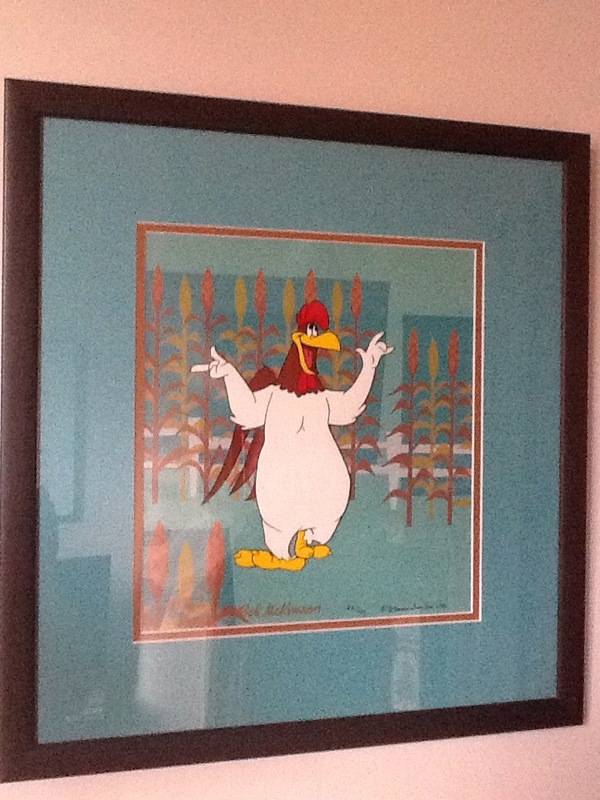 Foghorn Leghorn is a personal favourite from my youth. I don’t really know why a Southern Gentlemen rooster tickled my fancy but boy I say boy he used to make me chuckle. This picture was bought from an animation gallery behind Oxford Street in London which has since moved. 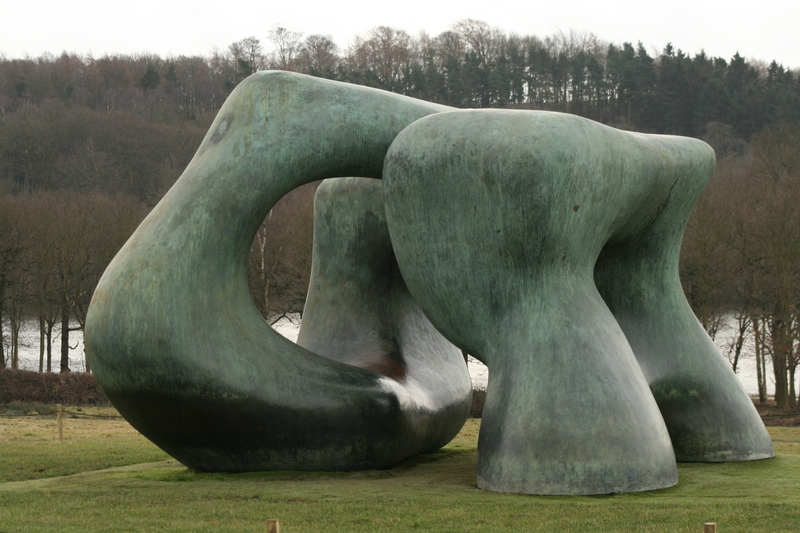 A visit to the gallery used to be an integral part of any trip to London usually followed by a nice meal at an Italian next door. Russell the gallery owner is another gentleman who always remembered me and what I had bought even though my visits were infrequent and usually at least a year apart.